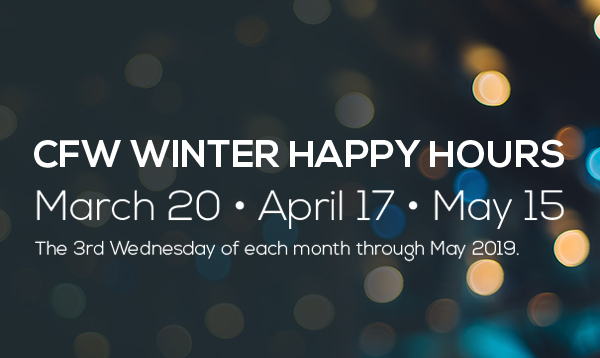 Join us at the Walnut Room for cozy and warm Happy Hours! We hope you can join us on March 20, 2019. Then, the 3rd Wednesday of each month, through May 2019. Real Happy Hour pricing on selected drinks and bar munchies from 4 – 7 pm. It’s a warm and fun way to network! Cost: No fee just pay as you go for drinks or food.